I’ve predicted quite publicly, including on national television, that President Barack Obama will make his first Supreme Court appointment within his first 100 days. But I wouldn’t have predicted one this soon. 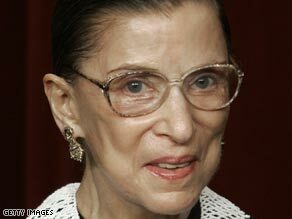 And while it is true that Justice Ruth Bader Ginsburg, who is undergoing cancer treatment here in New York, has no immediate plan to retire, news of her hospitalization has sparked a flurry of speculation about who might replace her, were she to do so. Dear President Obama #19: That's a quote! Reporter's Note: President Obama asked for Americans to help him with ideas. I’m writing a letter to the White House each day, which I am sure just thrills them. 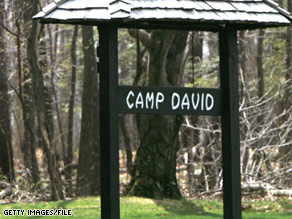 So off to Camp David, is it? Good for you. If I had a place in the mountains, I’d be there faster than Etta James can slap Beyonce. Pack up the fishing poles, load the kids, grab the cooler, and away we go. You should probably check to make sure President Bush didn’t short-sheet the beds for a joke anyway. Ha! I would. In the spirit of relaxation, I’ll keep this short. You shouldn’t waste your time reading letters, when you can cool out with the family and get a little stress break.